Estancia’s Zeke Tapia racked up an impressive 406 yards rushing with five touchdowns in last Saturday’s 45-0 blowout over new district rival McCurdy. The Bears (6-1, 1-0 District 2/6-3A) host Dulce Friday at 7 p.m.
Estancia volleyball beat Laguna-Acoma last Thursday 3-1. Moriarty’s Elijah Tapia carrying the ball against NMMI. Photo by Angelina Rose Lane. Moriarty’s Elijah Tapia tallied 232 yards and three touchdowns rushing, Marvin Encinias also had three TDs, J.P. Carmona added one and Nick Padilla threw a touchdown pass as the Pintos remained undefeated with last Friday’s 64-35 stomping over new district rival NMMI in Roswell. 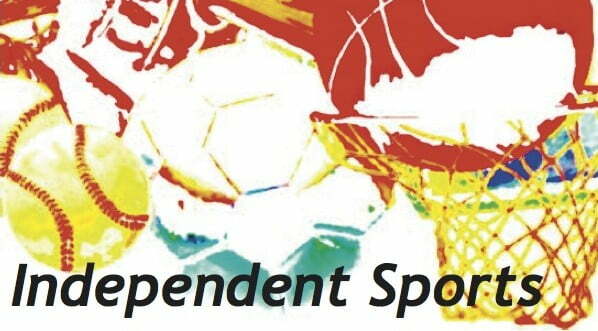 The Pintos host Hope Christian Friday at 7 p.m.
Moriarty’s girls soccer team blanked visiting Portales last Saturday 2-0; the boys squad edged Portales, 3-2. Moriarty volleyball outlasted Portales 3-2 last Saturday. Mountainair football cruised to a 62-45 win last Friday over the combined school co-op team of Dora/Elida.